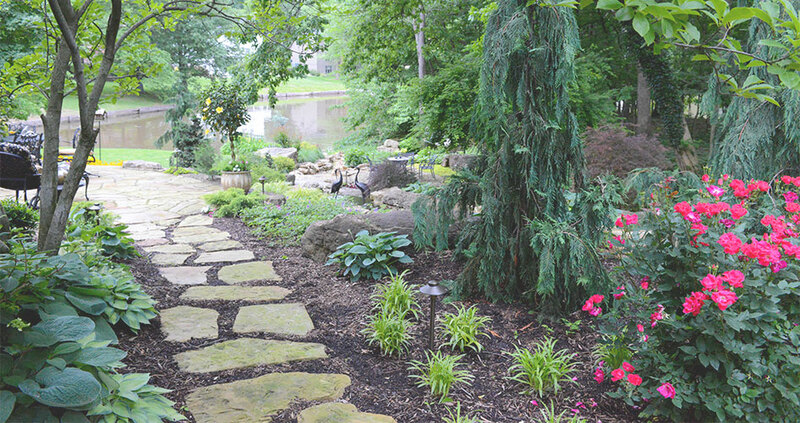 The Woodland Retreat is a backyard landscape for a private residence in Des Peres, MO. The project addressed two main issues the homeowner was looking to resolve with their current yard. First, we were to create a landscape that would help them enjoy a previously underutilized backyard. Second, they wanted a landscape that would blend into the abutting natural woodland setting. 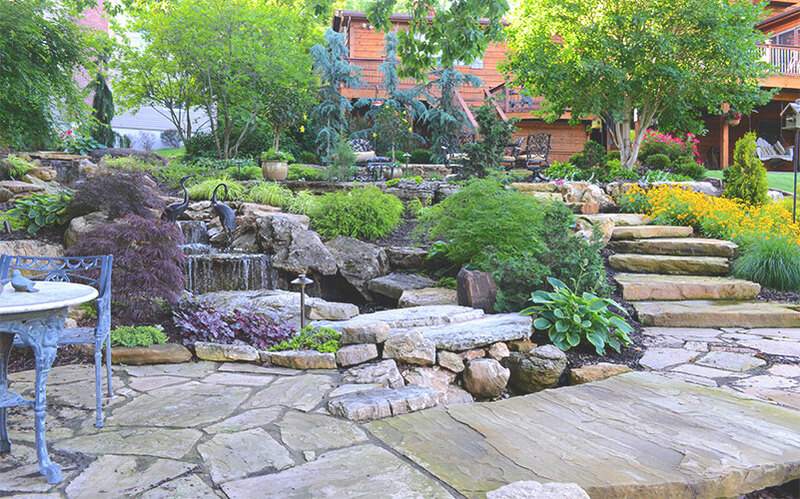 Adhering to the client’s initial request, natural stone boulders are used around a waterfall and are complemented throughout the project with flagstone patios, steps and walkways. 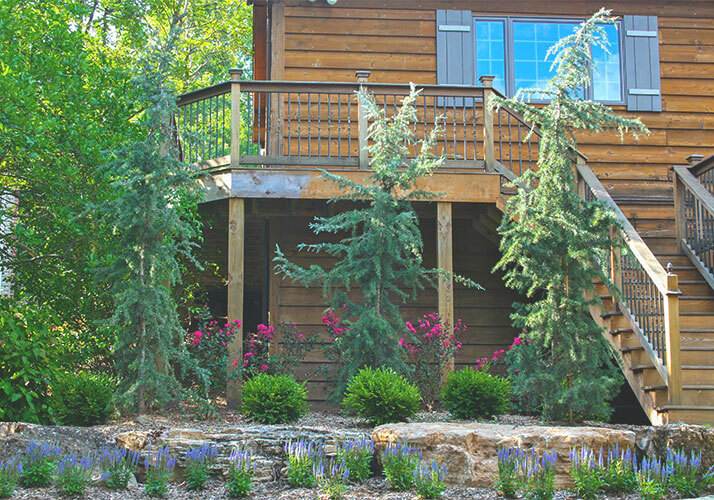 Two flagstone patios allow for multiple vantage points to relax and enjoy the landscape, while the paths connect the deck to a hammock on the edge of the woods. At the top of the waterfall, three Weeping Blue Alaska Cedar are placed as a backdrop that will eventually screen out a neighbor’s home. Moving deeper into the woods, a mix of Oakleaf Hydrangea, Pieris Japonica, fern, hosta and Creeping Jenny bring color to the area throughout the year. Two Cherokee Princess Dogwood act as the anchors of the landscape before it gives way to the woods. Around the waterfall different varieties of Japanese maple and hinoki falsecypress add structural interest to the surrounding stonework. Meanwhile, a mix of golden Japanese forest grass among other perennials blanket the sloping ground along either side of the waterfall.